Gummy smiles are not attractive. Too much gum may be a turn-off to members of the preferred gender. Moreover, it may indicate the existence of other more serious dental issues. They may be the result of dental issues such as gingivitis or periodontitis. Yet, frequently this is not the result of any serious dental issue. Like a crooked smile, this form of dental smile is simply a gift of Mother Nature. Dental smiles such as this are not always welcome, but they are natural. They may even be genetic. Since the fashion is for bright smiles – a smile brite as the all-outdoors, this can be a drawback. Research indicates the purpose of a smile extends beyond a simple communication of happiness and/or contentment. The prefect smile is associated with success. This applies to the workplace. It also is also pertinent to other aspects of a successful existence – including social interactions. Having a bright smile is an admirable quality. It bestows confidence. Yet, what if we have, instead, a gummy smile? 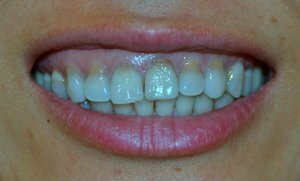 The amount of gum tissue visible will classify the smiles dental procedures wish to address. Specific measurements of gum-tooth ratio will determine whether the smile is mild, moderate, advanced or severe. Categorizing the extent will help determine the type of operation the dentist will need to perform. Perfect dental smiles are available. Certain smiles dental cosmetic surgical procedures are capable of altering forever. It depends upon the goal, the economic capability and the issue. Different approaches are accessible - both commercially and from a qualified dentist. Yet some methods, such as Brite Smile and Snap-On Smile are not generally applicable for gummy smiles. These may require specific surgical procedures. The most common is a gingivectomy. Crown Lengthening is another alternative. A gingivectomy is commonly known as a gum lift. A surgical procedure, its purpose is to reduce the pocket depth of the gingiva. The process takes the gums, removes some of the free gums. It sculpts and reshapes the overall gum line. It may even reform the bone. The result is a better gum-tooth ratio. The teeth appear longer. The gums look more even than before the procedure. The result is an even, bright smile. A gingivectomy can last 30 minutes. The cost is per tooth. The dentist may charge $75. The procedure may also cost in the range of $175 a tooth. What Is A Crown Lengthening? If the case is more severe, it may be necessary to undergo a crown lengthening procedure. This is because it is essential to reduce more gum tissue. This process contours the gingivia around each tooth, placing it into the newer, more desirable location. During the process, the dentist actually lifts the gum tissue off the bone. After placing the tissue into the correct spot, sutures hold them there. Healing takes from seven to 10 days. Following this period, the dentist will remove the sutures. The patient is then sent home for an additional healing process of up to seven weeks. After the required period of healing is past, the patient returns to the dentist for the next phase. This is the addition of veneers or crowns. Once these slide into place, the old smile is gone. There is nothing but bright smiles from now on. Procedures do exist to replace that gummy smile with a bright, warm, enchanting Michael Jackson smile. A Hollywood smile is available today with cosmetic dental procedures. If we feel like our smile is holding us back, then dental surgery may be the right answer. Before doing anything, however, talk to a medical professional.